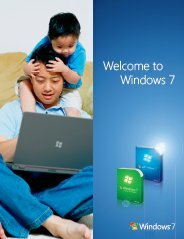 Question: Hi, I am trying to install Windows 7 on my computer. When I insert in the Windows 7 disc and boot from DVD the computer would get a blue screen and Windows 7 crash after the Loading Windows 7 and get the following error stop 0x00000074 (0x00000003, 0x00000002, 0x80B6998, 0xC000014C) bad_system_config_info. Please help me to fix it ASAP. Answer: To fix the "Stop 0x00000074 bad_system_config_info" error message when you try to start your computer from the Windows 7 DVD-ROM. Cause This "STOP 0x00000074 (0x00000003, 0x00000002, 0x80087000) BAD_SYSTEM_CONFIG_INFO" may occur if one or more of the random access memory (RAM) modules that are installed in your computer is damaged or if the RAM configuration is incompatible. Troubleshoot: 1. To troubleshoot and resolve error "Stop 0x00000074" issue, you've to remove the memory modules that are installed in your computer, but leave enough RAM to start your computer and run Windows 7, and then restart your computer. 2. If the Windows 7 problem is not resolved, remove a different memory module from your computer. This procedure may require you to restart your computer several times to identify the specific memory module that is not working correctly in your computer. If you don't know how to add and remove memory module to the computer, refer to the PC manual or contact the manufacturer of the computer. Inward parts of human body have inner capacities. Every single inner capacity are identified with the interior parts of body. We talk about inside about theme where it obliged inward points of interest in your works and give a delight to your compositions. So just visit our grabmyessay.com and get more benefits in their writing.